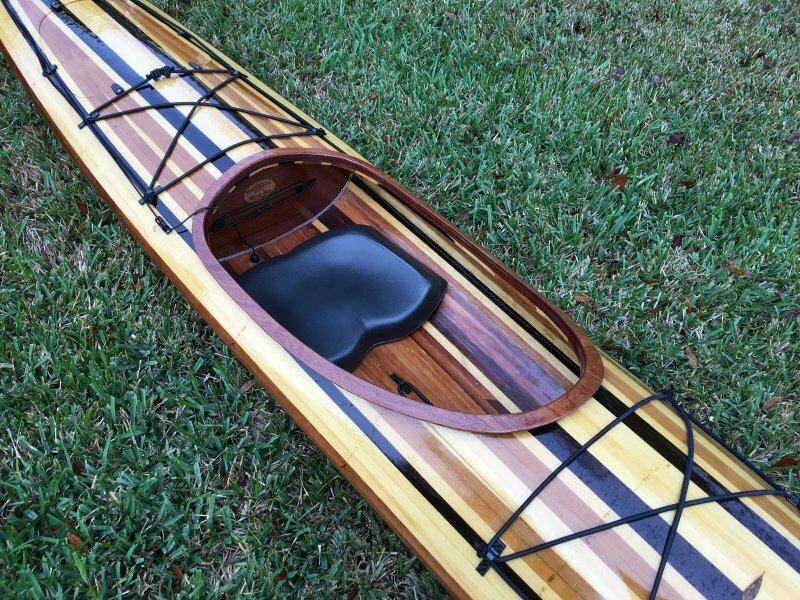 On Dec 2, 2015, Mark Nye launched his strip-built Wahoo Fast Sea Kayak. The hull and deck are Western Red Cedar with Alaskan White Cedar and Puruvian Walnut, and the combing/bulkheads are Sapele plywood. Construction took a little under 200 hours spread over a three-month period. 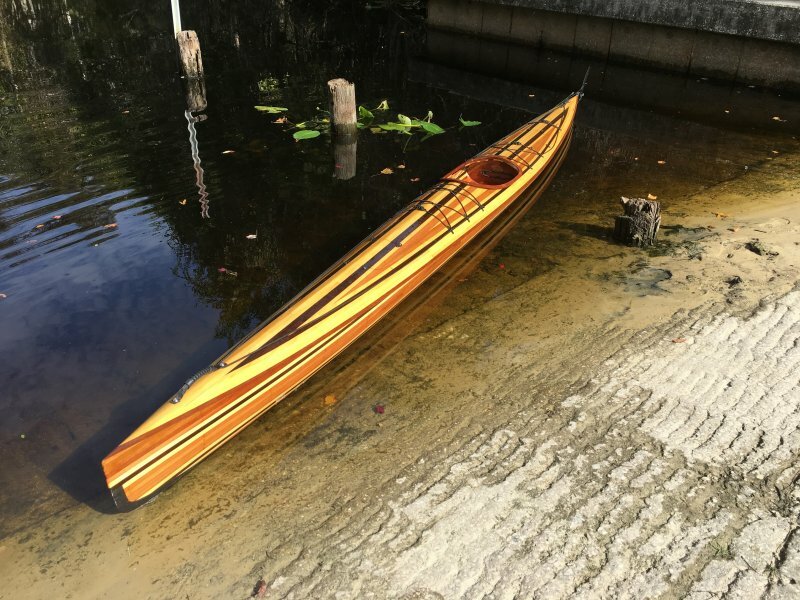 The boat was stretched 6″ to give it another 12# displacement (212# total). 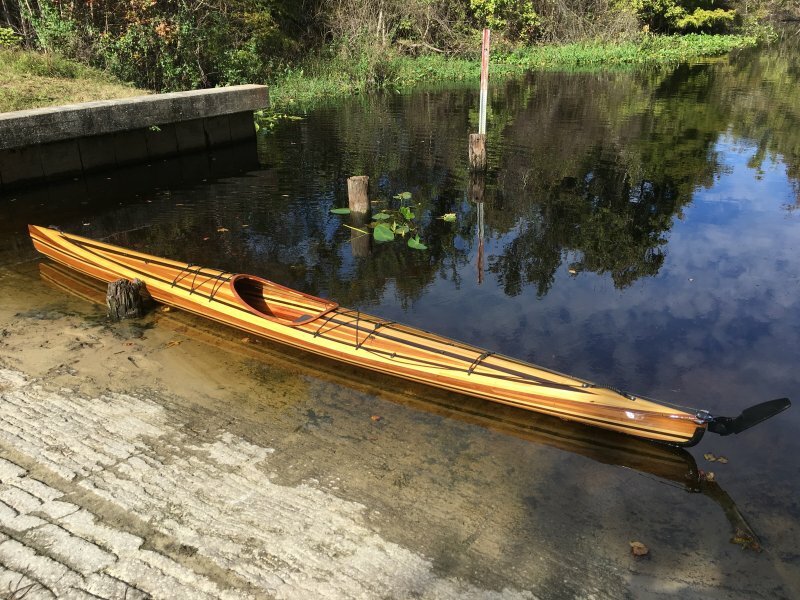 It is equipped with a Stellar surf ski style footbrace and Smart Track racing rudder, and will primarily be used for exercise paddling/recreational racing.